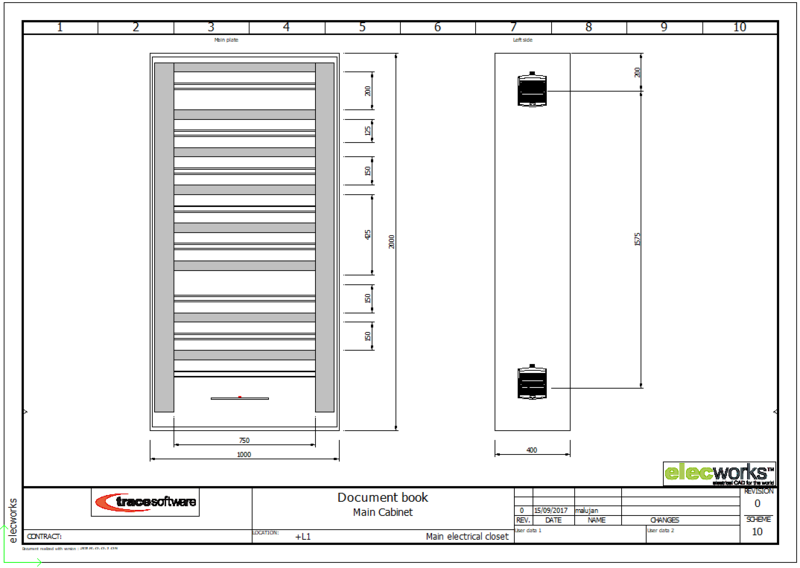 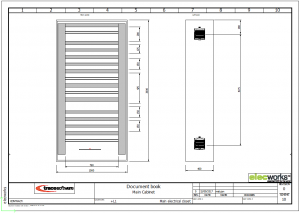 During the electrical cabinet manufacturing, the panelist is required to possess some technical data of the cabinet in different drawings. 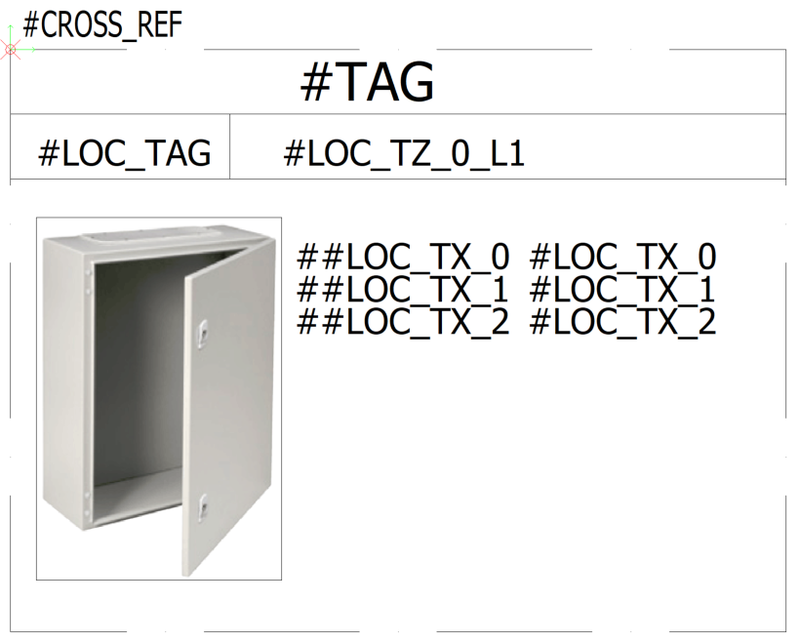 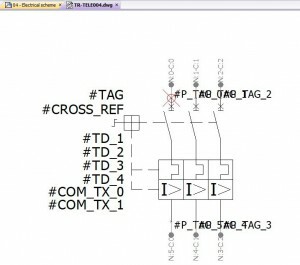 For this purpose, elecworks™ – the electrical CAD software- disposes of connection labels symbols. 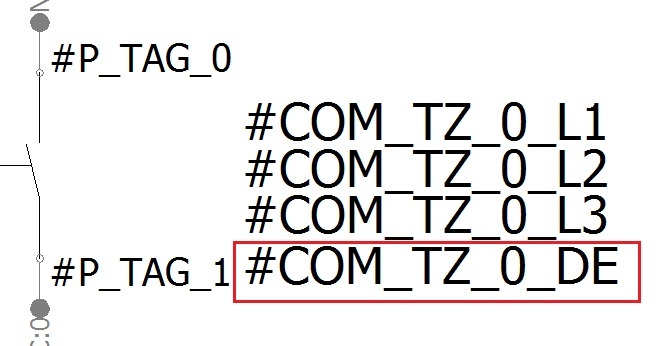 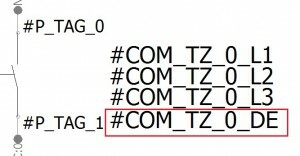 Those will show the information of the component or of the associated part and also all the data related to the item, such as location, technical data, descriptions, connections, etc. 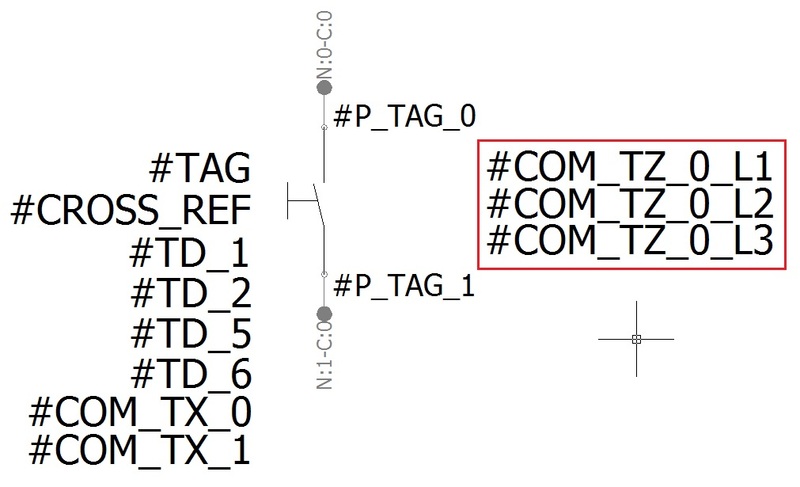 As shown in the image, not only the values of the user data are shown in the symbol. 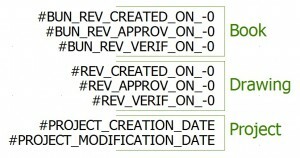 Also, if a ‘#’ is added to the definition of the attribute, the description of the project will be shown in the drawing. 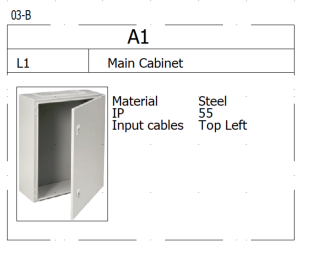 Connections labels are the perfect solution to show information about any component at any place in the electrical project. 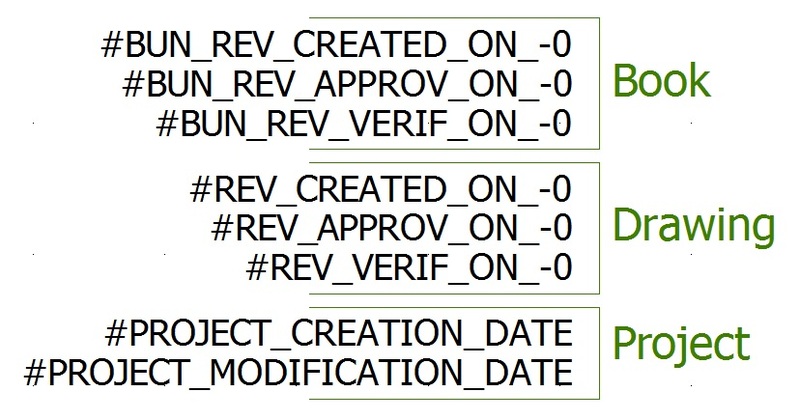 In addition, these symbols can be inserted so many times as needed saving up times and gaining in efficiency. 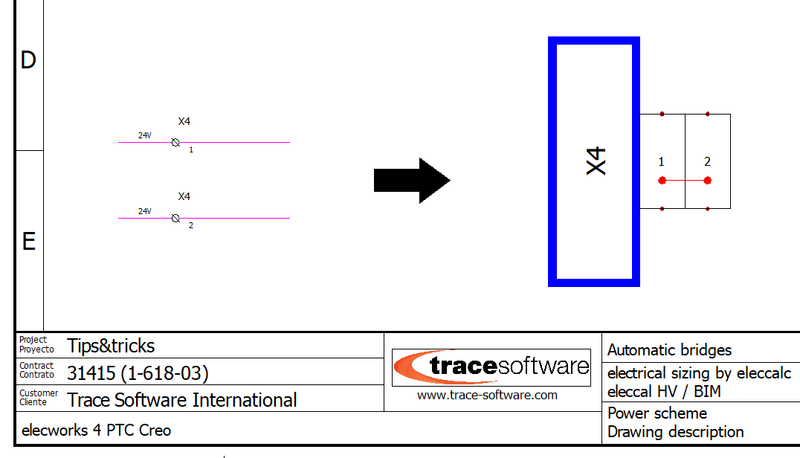 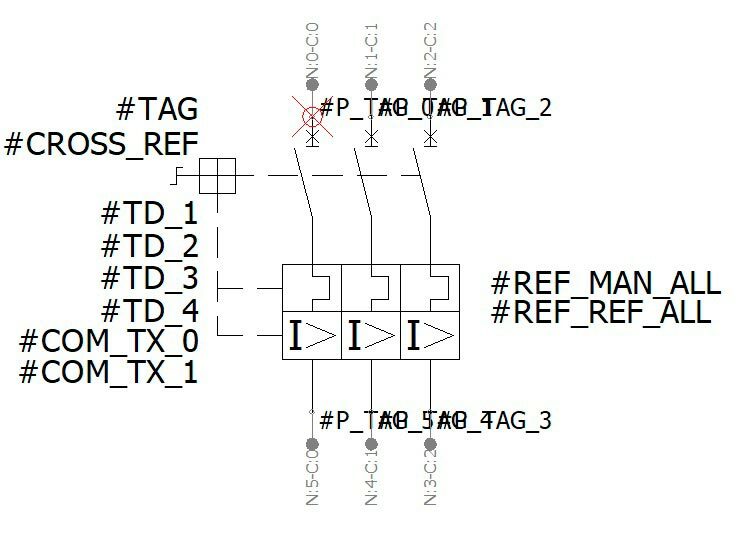 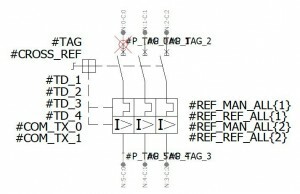 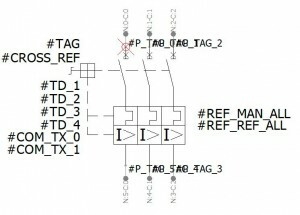 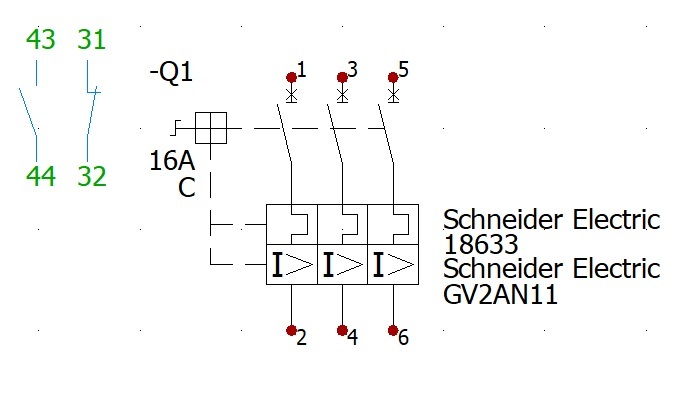 By default, in the line diagram drawings, the cross reference format is a text. 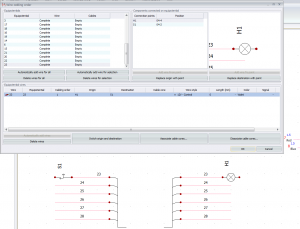 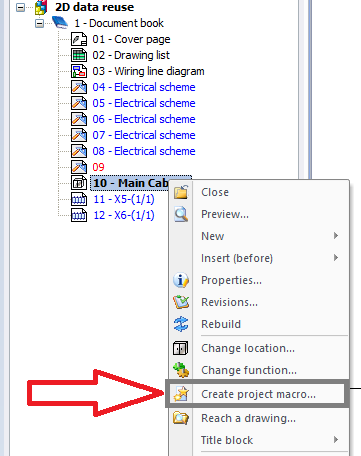 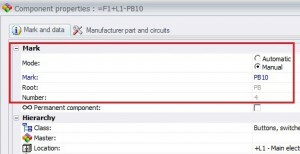 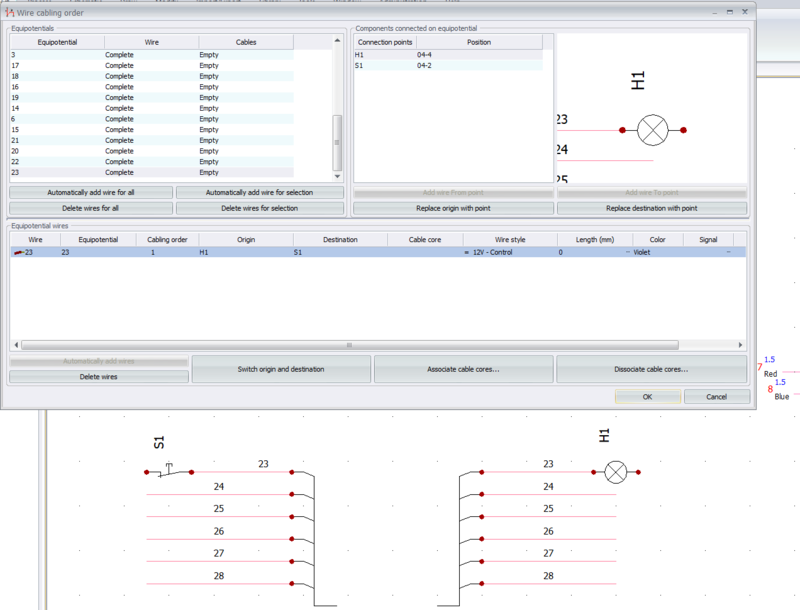 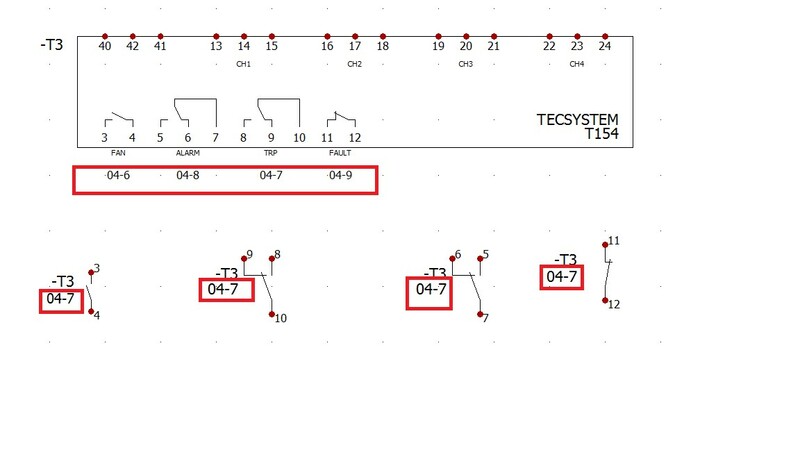 You can set the symbol to have a table format like the one that appears in the scheme drawings. To do this you have to select the symbol, right click button, Symbol properties. 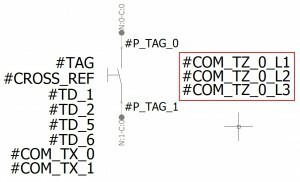 Set the Cross references type field as Parent in table and accept. 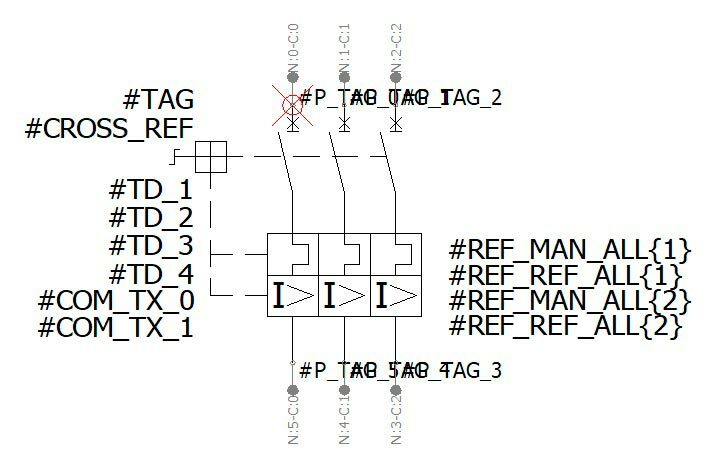 In this way it is possible to increase the level of information provided in the line diagram, allowing to generate a more precise documentation. 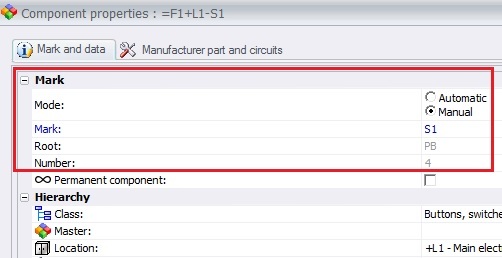 Keep in mind that the modifications made only affect the selected symbol, you can change the configuration of the Cross references type field in the library. 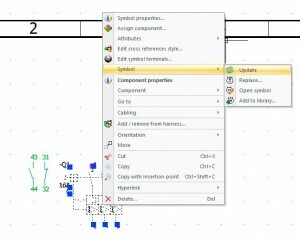 To do this please select the symbol, right click button, Symbol, Open symbol. 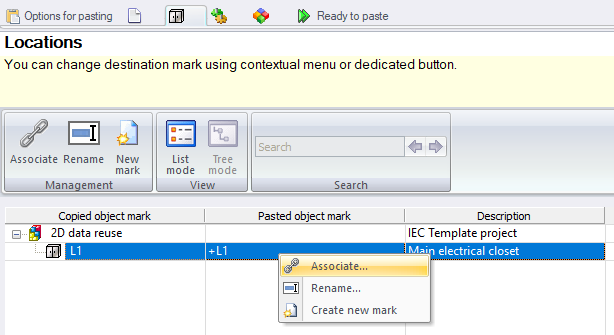 This will take us to the symbol in the library, the Properties panel allows you to set the Cross reference type. 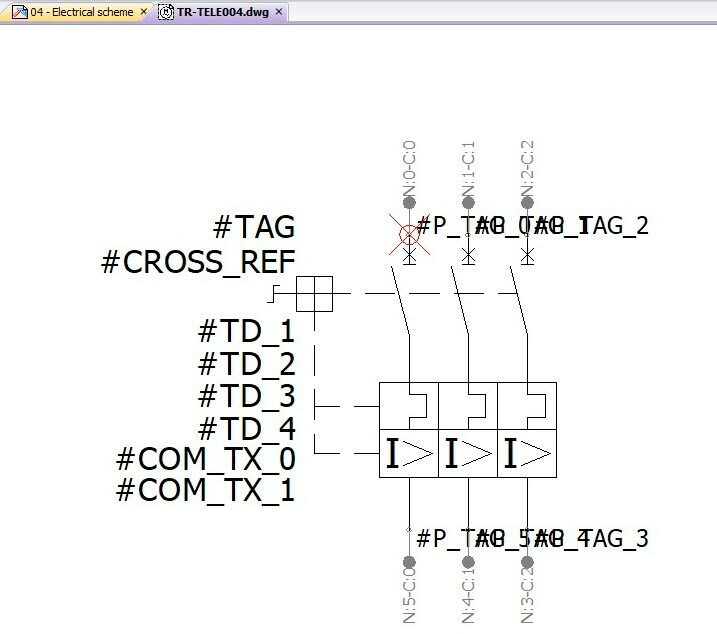 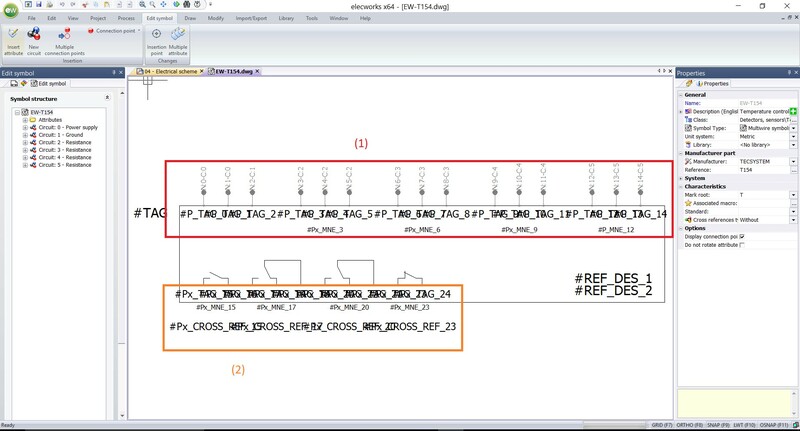 We save the symbol and return to the line diagram, when we insert it again it will have the Cross references type property set as Parent in table. 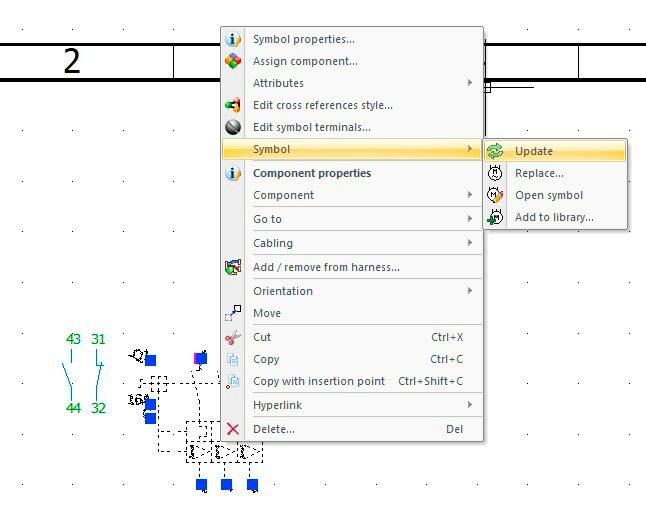 If we want to update the symbols previously inserted in the project, we must select a symbol, right click button, Symbol, and Update. 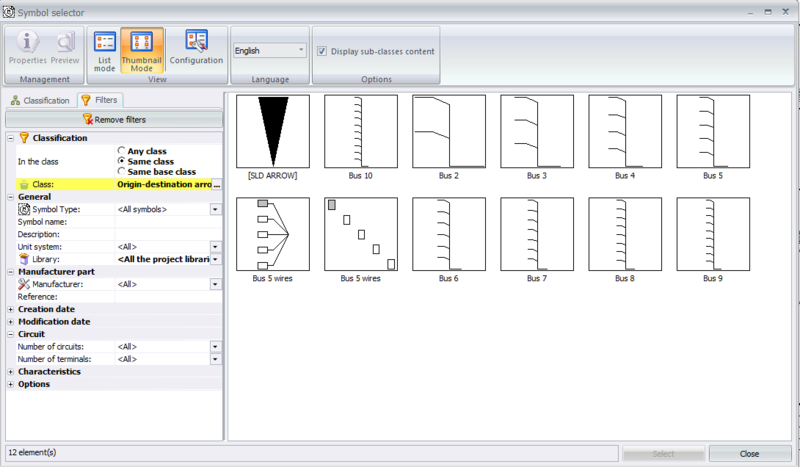 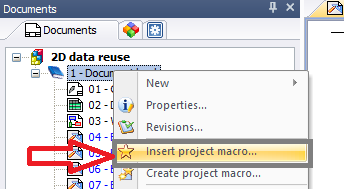 This allows updating the selected symbol, those inserted in the same drawing or in the project. 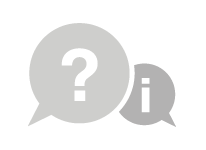 In this way, you will be able to update the whole project. 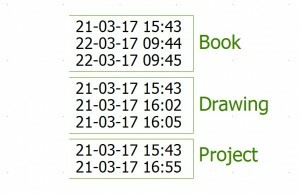 Purpose: Display time in revisions created on the same day. 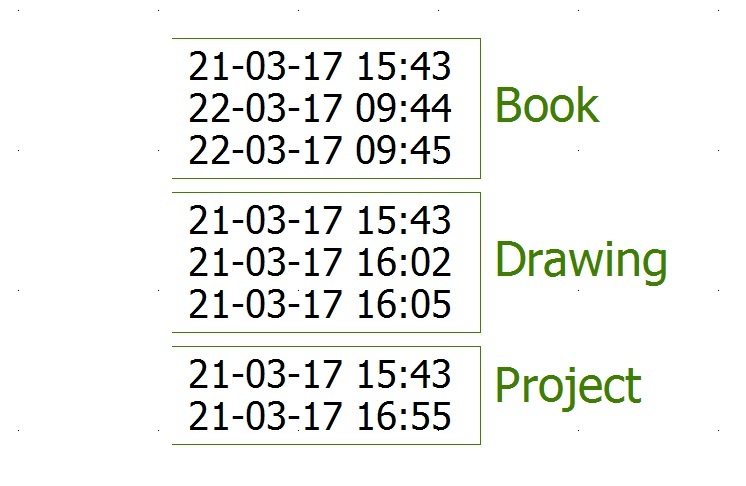 This way you will be able to differentiate revisions created on the same day. 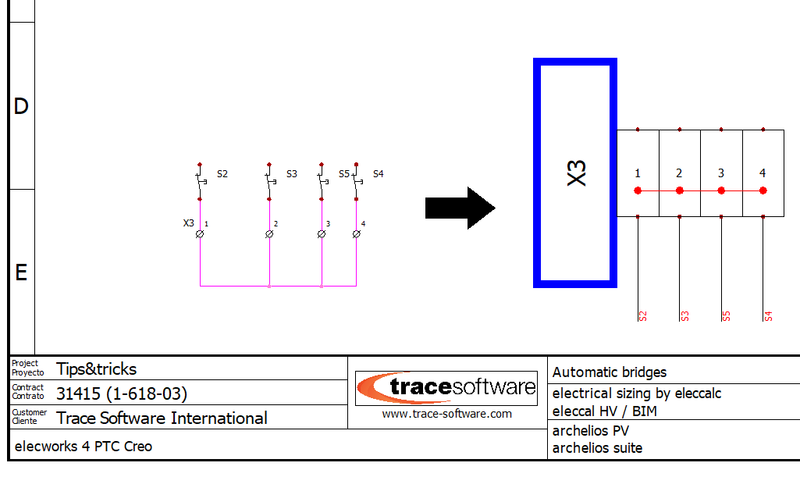 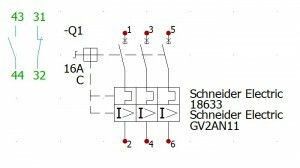 Do you need to show more than three languages in your electrical drawings? 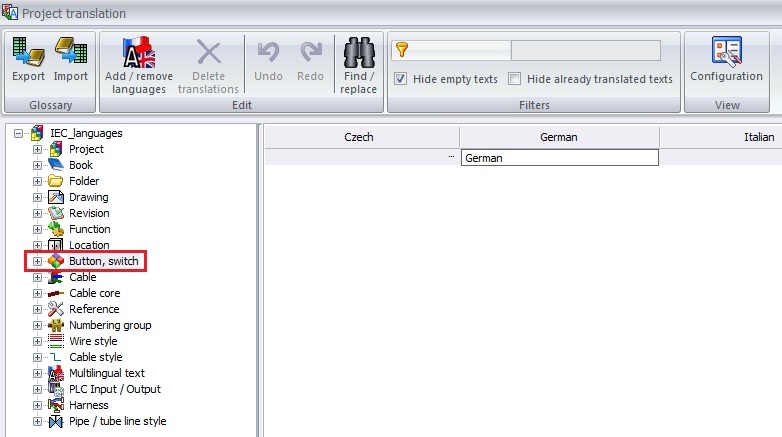 It can be done automatically using the Import option of the previous dialogue and selecting your translation database. 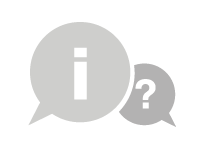 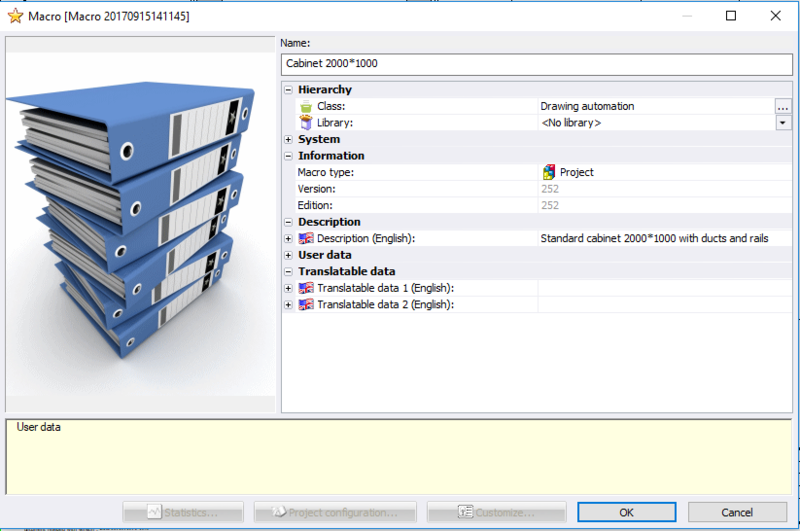 The supported formats are xls, xlsx, mdb and sqlite. 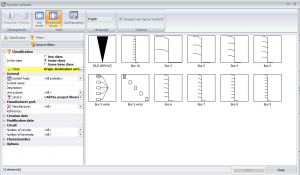 Using this method you will be able to show the languages you need in your drawings. 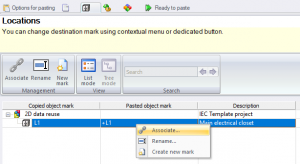 Using this method you can get an alphabetical order in your elecworks BOM.